The Original LuxurySafariCamps.com Collection #OutofAfrica experiences! What you’ll love...T+L #1 rated Perhaps the most impressive feature of our Royal Safari is the endless romance of a private setting: the luxury of inexhaustible space to discover this beautiful part of the world from. Stretching out right from your private pool deck is an infinite wilderness dotted with plains game, set aside for the enjoyment of just a few handful of fortunate guests. On request, our private safaris offer the option of a Specialist Guide & Private Vehicle, just for the exclusive use of a couple. Private champagne dinners complete your romantic “Out of Africa” escape. One-of-a-kind safari luxury. This award-winning safari is a magical experience bringing creature comforts to the bush in truly magnificent wilderness settings with year-round game. Sample fabulous meals and relax at the end of day with expert massueses at hand. 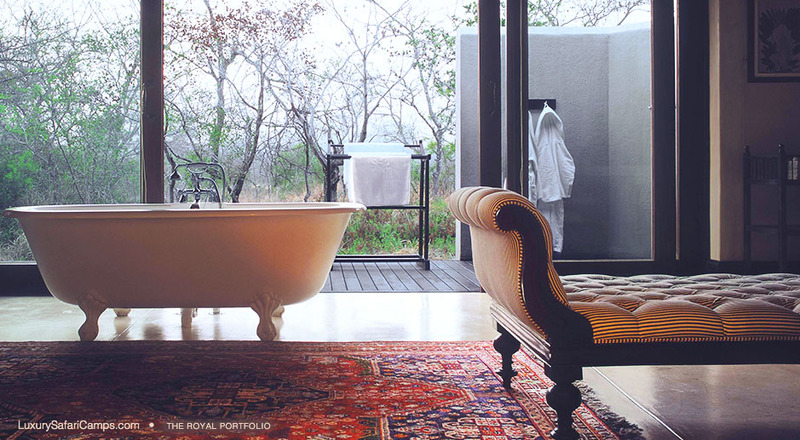 From private plunge pools to opulent master bedrooms, the world-class amenities at lodge help relax, recharge & pamper you throughout your luxury safari. The most luxurious safari. Perfect for Gourmands! Campaign-style tents. The private Guided Safaris® experience is renowned for its crowd-free exclusivity and remarkable concentration of wildlife on safari. Our boutique Luxury Safari Camps with romantic canvas suites offer couples an authentic taste of Africa in stunning game environs. If you’re looking to get away from it all, there’s nothing quite like a remote African desert, some chic beige canvas tents and a couple quadbikes to venture out and seek Meerkats. Featured in high-end fashion glossies, both Jack’s Camp and the even remoter San Camp have captured the imaginations of writers, artists and famed photographers. Step inside a hidden world of old Africa romance and low-key luxury out in nowhere..
A beautiful start or end to any big game safari in South Africa, add on a few days to indulge in the Cape culture defining the spirit, cuisine and art of the Rainbow Nation. Discover the beautiful Cape of Good Hope with scenic excursions to charming seaside villages alongside vast wildflower routes and award-winning vineyards tucked into vibrant valleys. A fantastic journey across South Africa! When the heart takes a spin: A gorgeous private island - the most exclusive of its kind on the entire Indian Ocean. North Island in Seychelles is an unspoiled tropical paradise that is home to some of the most incredibly rare species of bird and flora that only thrive on this Noah’s sanctuary. An exclusive luxury lodge with just 11 oceanfront villas. Excellent diving and fly-fishing on an eden-like island. The finest island experience! 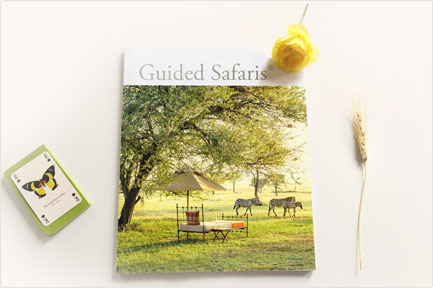 Guided Safaris® as the door to open when traveling to Africa. Founded in the Spring of 1995, Guided Safaris® is one of the world’s premier luxury safari brands with an award-winning portfolio of private regions & prestigious camps. We lead safaris into Africa’s richest private game regions, managed by our luxury safari camps to ensure a highly-exclusive and environmentally-responsible experience.